Bengaluru, Jan 21: The Congress finds itself in a tricky situation in Karnataka as it continues to keep its legislators in a resort to avoid poaching. The Congress is expected to be set its legislators free today amidst anxiety that some may switch over to the BJP. Bengaluru, Sep 20: The crisis in Karnataka may have blown over for now. Disgruntled minister, Ramesh Jarkiholi announced that he had no plans of quitting the party and expressed hope that the issues would be resolved. With Karnataka throwing up a split verdict, the big debate is around the anti-defection law. The issue also came up before the Supreme Court which is hearing a petition challenging the invitation extended by the Governor to B S Yeddyurappa to form the government. Former Chief Minister of Karnataka, B S Yeddyurappa on Thursday said that he is confident of forming the government after the next elections. The Karnataka Janatha Party will get a majority and will form the government, Yeddyurappa said at a press conference in Bangalore. Deputy Chief Minister and Karantaka state president of the Bharatiya Janatha Party, K S Eshwarappa says that the government is safe. Reacting to the resignations tendered by 13 MLAs, Eshwarappa told the media that the government will complete its term and there is no chance of any more MLAs quitting the BJP. 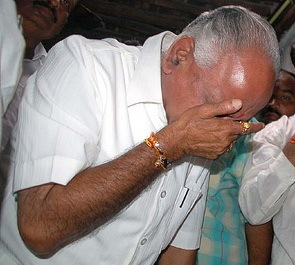 There is a virtual tug of war that is going on in Karnataka between the Bharatiya Janatha Party and B S Yeddyurappa. After the former Chief Minister of Karnataka B S Yeddyurappa stepped out of the party and launched the Karantaka Janatha Party, one expected that at least 30 MLAs from the BJP would join him and the government would collapse. 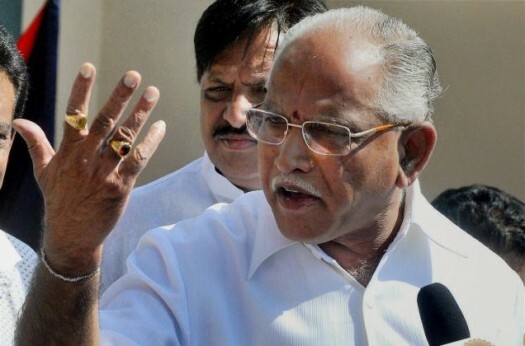 However that was not the case and Yeddyurappa’s closest loyalists decide to stay away from him as they believe that their political careers would be ruined if they pulled down the BJP government. The Speaker of the Karnataka Legislative Assembly has accepted the resignations of all 13 MLAs. 13 MLA’s loyal to B S Yeddyurappa had come out of the BJP and tendered their resignations to the Speaker of the legislative assembly this morning. After waiting for over five days, 13 BJP rebel MLA’s have tendered their resignations to the speaker of the legislative assembly. The MLAs’ who are B S Yeddyurappa loyalists met with the Speaker a while ago and submitted their resignations. They had decided to do so last week, but had to wait as the speaker was out of town. Meanwhile the BJP has also petitioned the speaker seeking the disqualification of the 13 MLAs. It is now up to the speaker to take a decision on the issue. 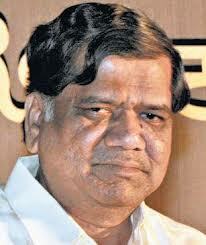 Jagadish Shettar, Chief Minister of Karnataka has made it clear that there is no threat to his government. During a meeting with the Governor of Karnataka, H R Bharadwaj Shettar said that the numbers are there and he enjoys absolute majority on the floor of the Karnataka Legislative Assembly. The Governor of Karnataka had called on the Chief Minister, and sought details about the state of the government and also the numbers on the floor of the House. He had convened this meeting after 13 legislators had decide to submit their resignations as BJP MLAs. If the resignations are accepted then the BJP government will collapse as they will fall short of magic mark by 8 seats. The Speaker of the Legislative Assembly will return to Bangalore on January 28th and these MLAs would make another bid to tender their resignations to him. However the ball is now in the Governor’s court and he would have to decide now if a floor test is needed or not.